So this is what Spain* thinks of us. 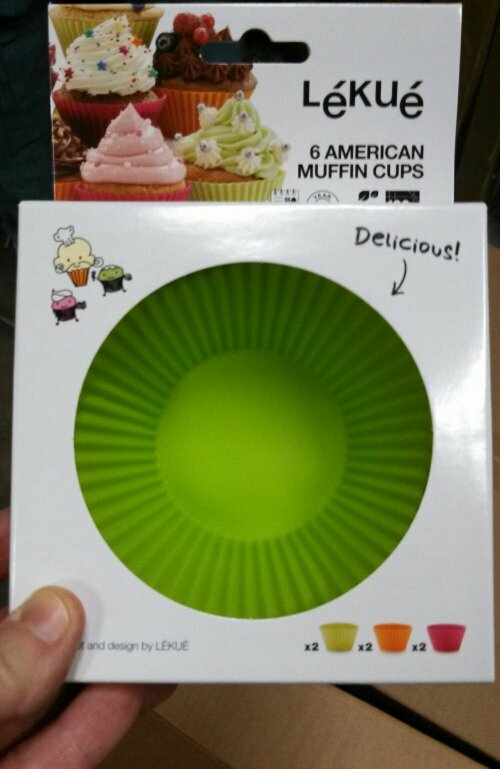 JUMBO silicone muffin cups are called “American Muffin Cups”. Luckily the baking cups themselves are Delicious!, because we gluttonous Americans will likely just eat the cups too, in the mad frenzy to shove the giant American muffins in our giant American faces. *Lékué is a Spanish manufacturer of silicone bakeware and microwave cookware. I used to like the company. Next Next post: Snow Rollers! Well, that settles it. I’m anti-American. In my defense, I still love donuts, hot dogs, pizza and a good burger. And of course, I’ll be watching the Super Bowl this year with too much beer and too many fattening foods. The details are still TBD. I always knew you were a pinko commie.